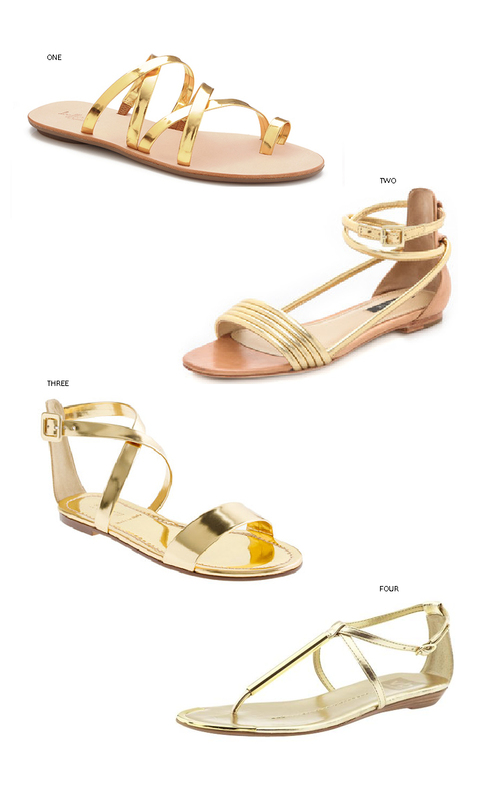 I know what will be on my feet this summer and spring: gold flats. Over the last few seasons, gold has really become an "it" color. I've normally only worn gold jewelry, but I will surly be switching up my routine soon. I will be working these into my closet, and pairing them with dresses and cuffed jeans. Will you be wearing gold flats this summer?